TRONbet is a disruptive online gambling platform that uses blockchain technology to offer provably fair games. Learn about ANTE, dividends, casinos, profit sharing and more in this new guide for 2019. No matter how someone feels about online casinos or gambling in general, it’s hard not to appreciate the brilliance behind TRONbet. House edges. Shady hosts. Insecure platforms. That was the world of online casinos until people realized how transformative blockchain technology could be on the industry. TRONbet uses blockchain technology to transform the online casino completely. The TRON ecosystem originally used the Ethereum blockchain but has since forked to create its own mainnet system for dApp development and deployment. The result is a decentralized system that is ideal for operating online casinos and other gambling venues. “TRONBET is comprised of a team of blockchain enthusiasts from all around the world. 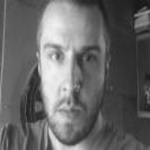 Prior to the crypto boom, the team has had significant experience in the game development and publishing industry. TRONbet is an online casino that uses blockchain technology to ensure that the supported games are provably fair. This is extremely important in the online gambling industry, or any gambling business really, for obvious reasons. TRONbet eliminates the need for an online gambling venue to prove its trustworthiness by operating on a transparent blockchain. 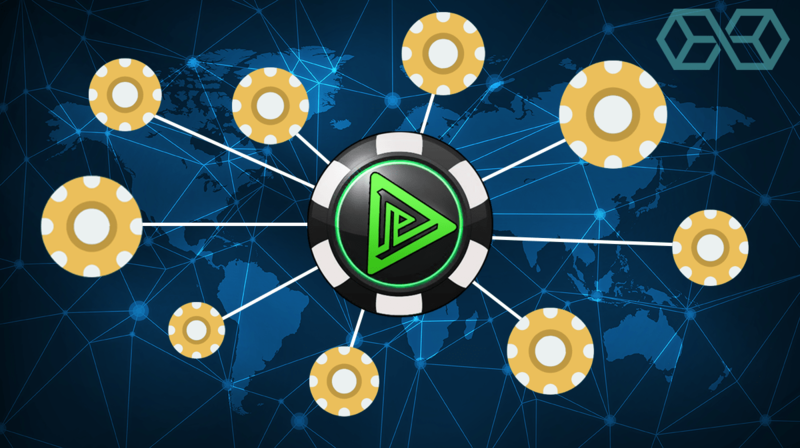 TRONbet also relies on blockchain technology as a means of avoiding the need for supplying casino hosts with potentially sensitive personal and payment information and eliminates the security risk of needing to store funds on the casino itself. These are 2 of the biggest concerns involved in online gambling, both in terms of shady venues and the potential for hacks due to poor security. Finally, blockchain technology allows TRONbet to share the profits from the casino with its users in a transparent (and entertaining!) fashion. The TRONbet ANTE system rewards users both for simply playing on the site and for temporarily locking their tokens into the system to power its operations. For more information on the underlying details behind TRONbet, please see its white paper. Ok, this all sounds pretty cool, right? And now you’re wondering what you need to do to start playing. First, you need to get your TRON wallet set-up. There are various supported 3rd party software platforms that can be found on the Internet for free that we cover in detail below. Your TRONbet wallet is essentially your account. It allows you to manage the tokens used on TRONbet (TRX, ANTE, BTT) and interact with the supported games. 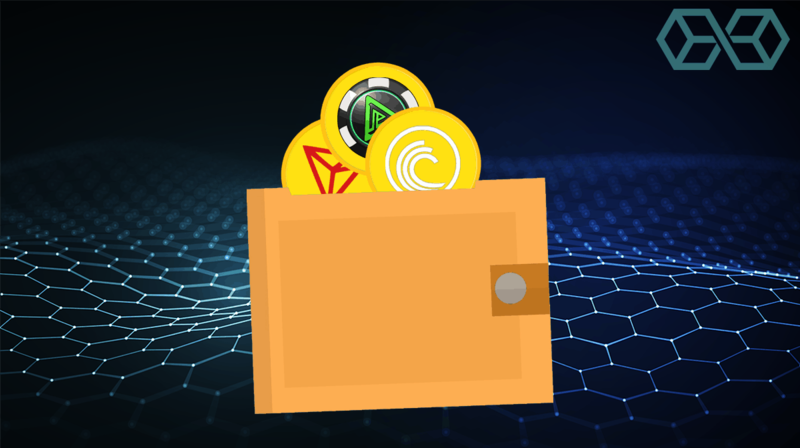 Next, you need to use one of these wallets or a cryptocurrency exchange to purchase a compatible token and transfer them to your TRONbet supported wallet. Once you have funded your wallet with a TRONbet compatible token, you are ready to play! The games on TRONbet are simple yet very fun. Currently, there is one single player game and two games with a shared event for wagering. That said, there is a lively chatbar for the casino as a whole, so you always feel like you are playing with others regardless of the game. New games and sports betting are currently in development, including TRONslots, TRONlive, and TRONpoker. You play by first selecting an “over” or “under” bet, and then you use the slider bar to select the target number. The lower the chance that your bet is successful, the higher the potential payout. 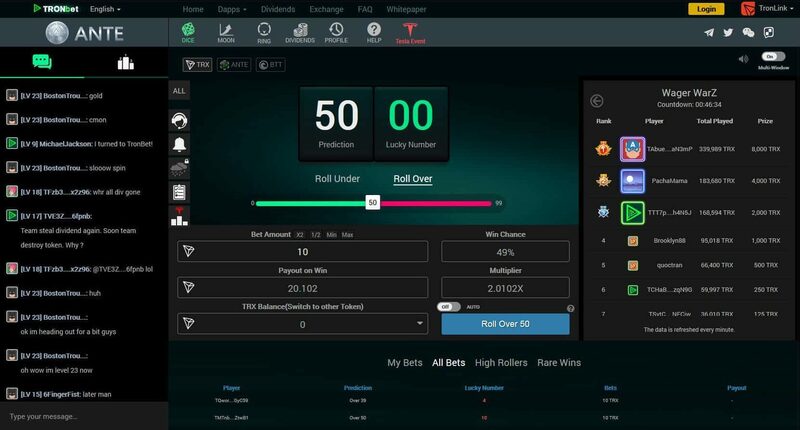 Once you are ready to wager, you simply hit the button and let the blockchain randomly generate your lucky number. If you guessed right, you would collect your winnings. If you guessed wrong, you lose your wager. 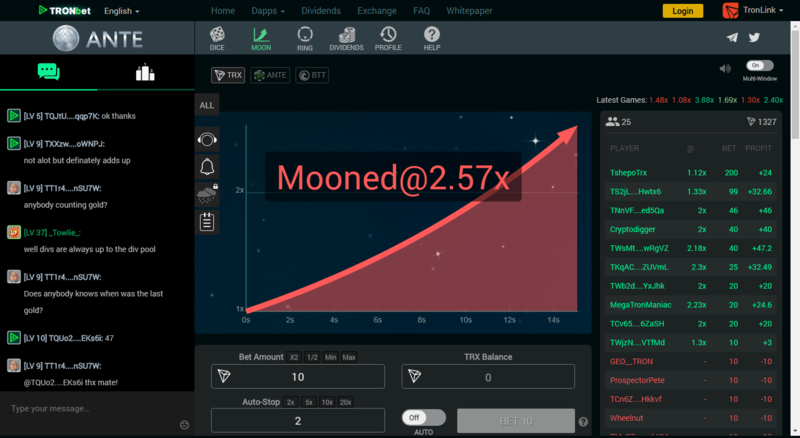 Moon is a multiplayer game and wagers can only be placed in TRX. Moon involves an increasing number that stops at a random value. The goal of the game is to get as close to the actual stopping point as possible without going over it. Therefore, the higher your chosen stopping point, the higher the payout. However, if you guess a stopping point that is higher than the actual stopping point you lose your bet amount. Ring is essentially a roulette game. Ring allows multiple players and only the TRX token can be used. The roulette wheel for Ring is unequally divided into nodes of 4 different colors. You play by choosing your color and waiting for the spin. If it lands on one of your selected color nodes, then you win. The distribution of colors across nodes is uneven, so by choosing a less-represented color, you increase your potential payout if correct. 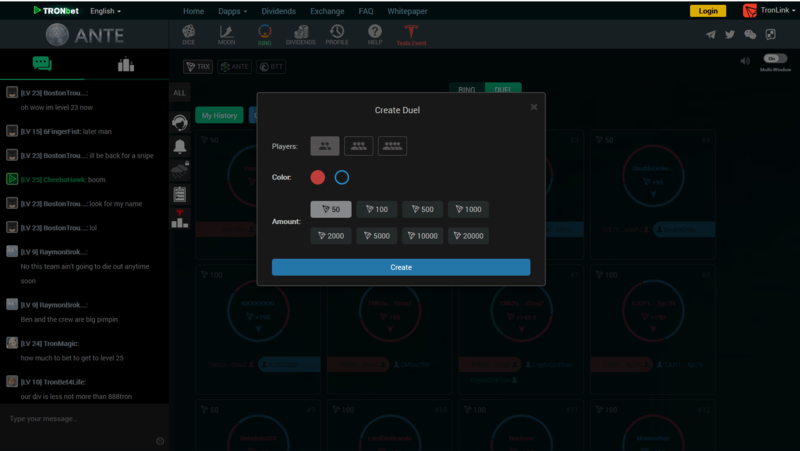 Ring also has a ‘duel’ mode, where you can set the wager amount and the number of players. 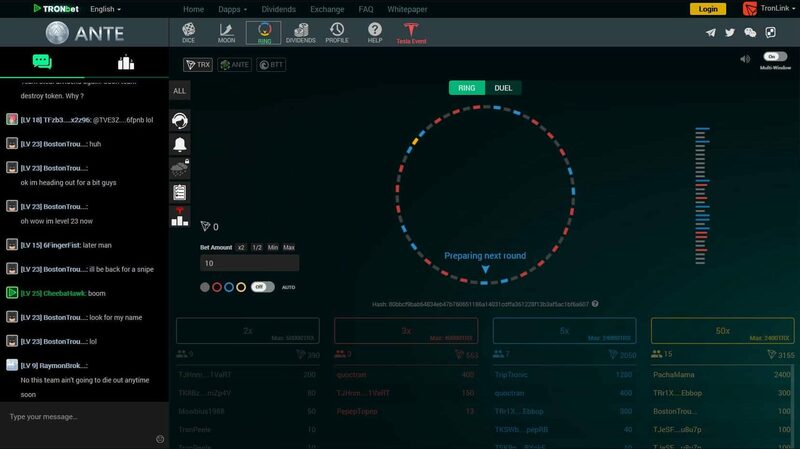 Once the game is full, the wheel will spin and land on the winning player’s area, with each player’s area being evenly distributed based on the number of players in the game. There are 2 additional features to TRONbet that are worth mentioning: the ANTE system and the user levels. 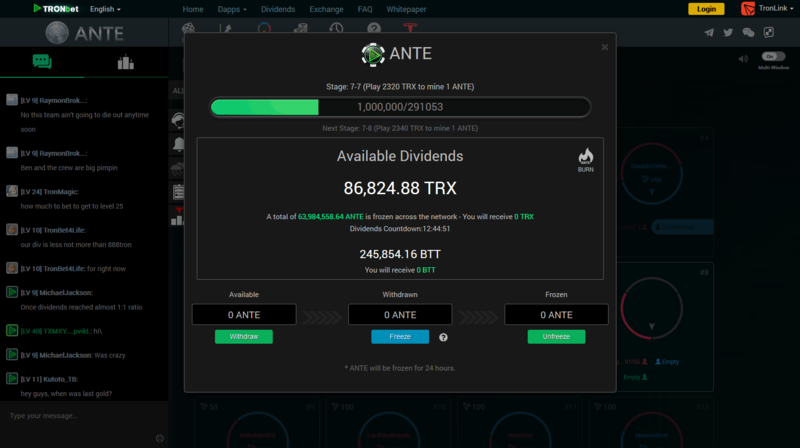 ANTE is a TRONbet token that you get for simply playing on its website. It can also be bought and sold. The beauty of ANTE is that you can choose to lock it into the site for a 24-hour minimum period, and you will receive dividends from the profits generated over that period based on your share of locked ANTE relative to the overall amount locked during that period. TRONbet has user levels which are based on the amount a user has played that unlock various site features. These user levels are a nice touch and help to create a sense of community in the site. 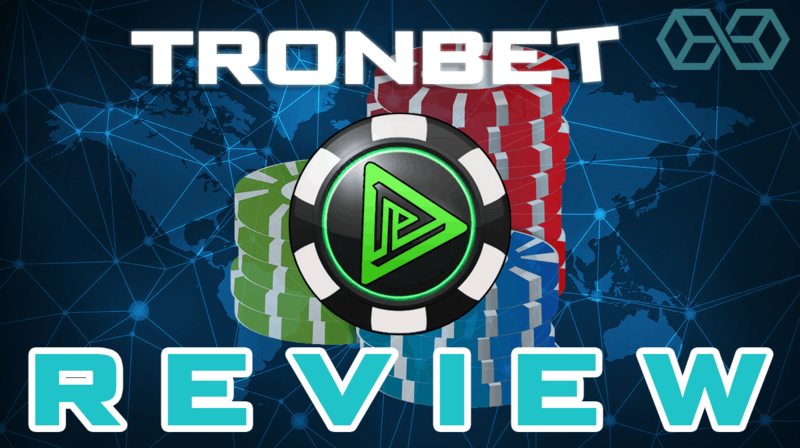 Let’s breakdown what we’ve learnt about TRONbet into a simple pros and cons list. TRONbet has purposefully and directly addressed some of the main complaints that people have about online casinos, and it is interesting how well blockchain technology can solve key issues in the online gambling industry with ease (an underrated topic in the crypto space in general). If you have historically disliked online casinos for any of these reasons, TRONbet could very well change your mind. For those people who already enjoy gambling and online casinos and are crypto enthusiasts, TRONbet is one of the best options on the market. TRONbet does not include some of the bells and whistles of traditional online casinos yet, but it has some cool blockchain-based features that many crypto enthusiasts will enjoy. However, for serious online gamblers, TRONbet in its current state could still be a bit underwhelming and unsatisfying. 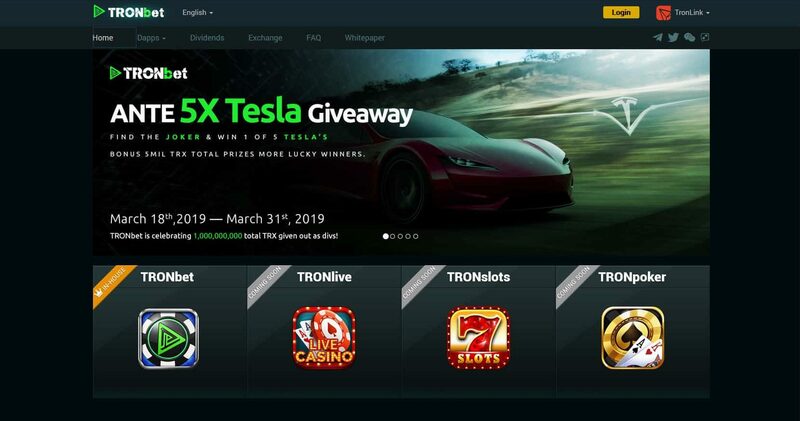 While the wagers are big and enticing enough to hold the attention of most whales, TRONbet still doesn’t offer the variety, and slick casino feel that many gambling enthusiasts may be looking for. All that said, TRONbet is definitely a new, innovative and disruptive online gambling platform. TRONbet right now could represent history in the making, as if it continues to grow and develop the potential here is huge.